Love and marriage is on the mind today as I’m in Atlanta, GA, celebrating the wedding of two of my best friends. So I thought for today’s reminisce, I would share a story about a comic that was added to my collection because of true love. Amazing Spider-Man #50 is not a love story by a long shot. 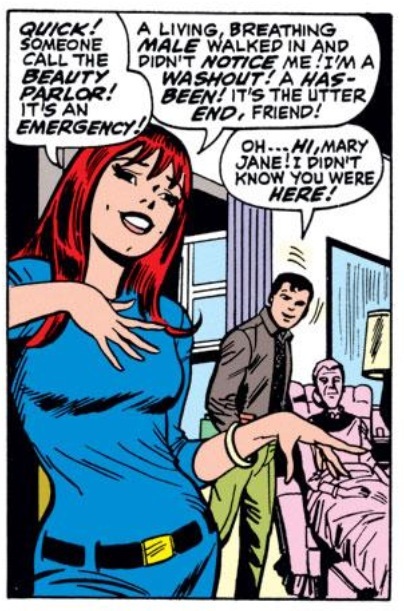 That doesn’t mean it still isn’t one of the greatest issues of ASM – ever. 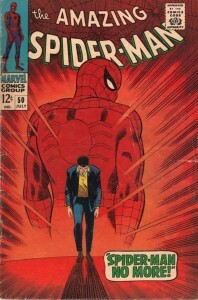 Most collectors look at this issue and are immediately struck by the absolutely epic cover by one of the greatest comic book artists of all-time, John Romita Sr. Spider-Man no more? Could Spidey have possibly quit? 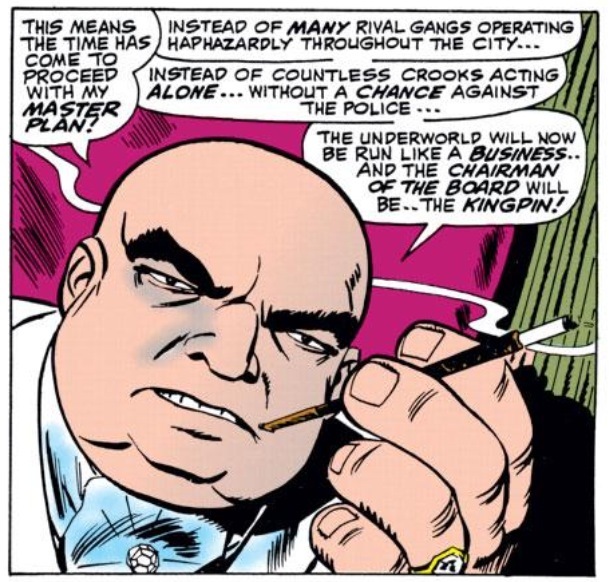 If it’s not the cover that drives collectors to lust for this issue it’s the fact that it’s the first appearance of one of the greatest Marvel villains of all-time, the Kingpin, who was using his underworld mob connections to torment Spider-Man long before he became one of Daredevil’s primary antagonists. But I’ve never been your typical, average comic book collector. For me, this issue is vital to my collection because it represents the introduction of a key character in my chase to collect every issue of Amazing Spider-Man. That’s because this issue was given to me by a very significant other on a very significant day in our relationship: my wife on our first wedding anniversary. I’ve referred to my wife in passing a few times on Chasing Amazing, but I’ve never given her the full credit she deserves in helping me on my quest. She’s been way more than just a bystander who “accepts” my quest but silently resents me for it. Nor is she someone who is supportive but doesn’t “understand” why I’m doing what I’m doing – spending our hard-earned money on magazines that were originally marketed to children. Whether she wants to admit it or not, I’ve accepted her as an active and willing participant, someone who legitimately wants to see me reach my ultimate goal and will do what she can (within reason) to help me make it happen. What makes her support even more impressive is the fact that Amazing Spider-Man was not always a major part of our relationship. We first started dating in college and at that point I was not actively collecting, using what little money I had at the time to go out, be social, and like every other college male, buy beer. It wasn’t until about 2002 when the first Sam Raimi Spider-Man movie had been released that I had to explain to her why I was weeping like a little child during the opening credits. My collection was considerably smaller at that point – probably a few hundred ASM’s away from where I am now. Still, that movie triggered a bit of nostalgia for me, so I started to unveil this part of my past to her one comic book at a time. And instead of being freaked out about it, she was sincerely interested. I know it was sincere because when I mentioned a few weeks later that I was interested in collecting again, she didn’t bat an eye. Instead she talked to some folks that she worked out and was able to broker a deal for me that more than doubled my collection. You might recall that story when I talked about ASM 252 a few months ago. 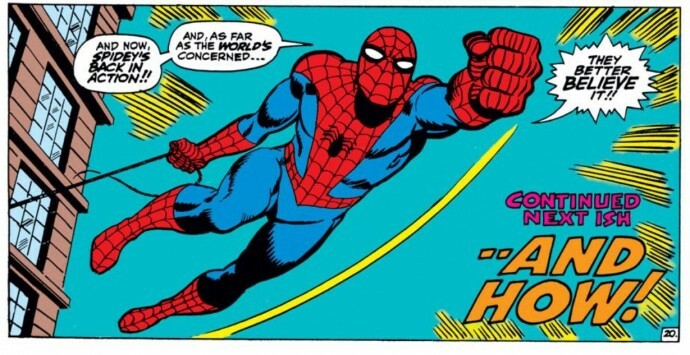 But even after getting that huge box of comics and eventually ordering a subscription of the current ASM issues for myself, I was still operating with just one toe in the pool regarding that long-dreamed-about quest to own every issue of Amazing Spider-Man. I picked up a few back issues here and there, but there were still a number of key (and expensive) issues from the first 200 that I was missing, and I was so hesitant to dive in and start acquiring them because I knew if I went back down that path, I was going to have to try and finish this time. Even if it took me years. By 2008 I was a few years removed from college and was almost a year into my marriage – essentially an adult. I was in no position to start using my discretionary spending on comic books. While I was enjoying the current issues of ASM, the idea of ever completing the run of the series was long defunct. Or so I thought. My wife and I were out one night in New York City about a month or so before our first wedding anniversary. We had dinner and a bunch of drinks while we were out, so I was feeling the truth serum affects of the booze. We wandered into an old-school comic book shop around Greenwich Village. After a few minutes of poking around, my wife asked me I saw anything I wanted to buy. I told her no, and we left. After we were out the front door, I started telling her about some of the goodies I’ve seen in the store over the years, but how I’ve always resisted buying because I thought the store was overpriced. There was one specific instance where I was in the shop a few weeks before our wedding. Around Thanksgiving week the store does an annual 50 percent off sale and the shop owner was telling me about some of the ASM comics he had in stock in time for the sale, including a copy of #50. When he saw my eyes instantly light up at the mention of #50, he took the copy out of hiding and told me he was willing to give me the 50 percent off deal right there and then – a few weeks early. But even at 50 percent off, the asking price was still out of my range, and I was about to get married in a few weeks. I wasn’t about to drop a few hundred dollars on a comic book when my wife and I were saving every penny we had to pay for the reception and honeymoon afterwards. In retrospect, it sounds like I was telling my wife this story in an attempt to guilt her – “see what I sacrificed for you and our wedding?” – but it really wasn’t like that, and because she’s the person who understands the way my brain works (and how it impacts the words coming out of my mouth) better than anyone else I can think of, she didn’t think I was doing that either. But it set the gears in her head into motion regardless. While we were walking to the subway she asked if I could go back and start buying old Spider-Man comics again, which issue would I want more than any other – outside of the first few issues of course, which are the obvious gimmees. 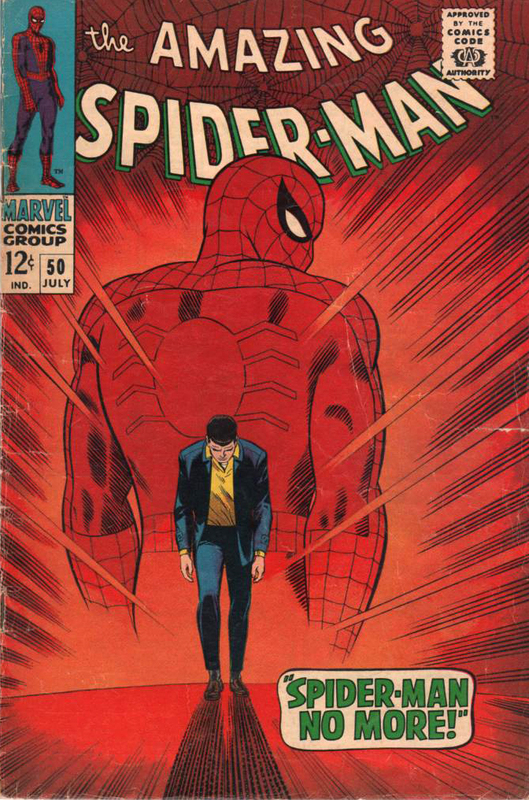 And of course, on the heels of my flirtation with ASM #50, I immediately answered that I wanted the comic with the iconic Romita cover and the first issue of Kingpin. The issue that still gives me chills when I read it to this day. 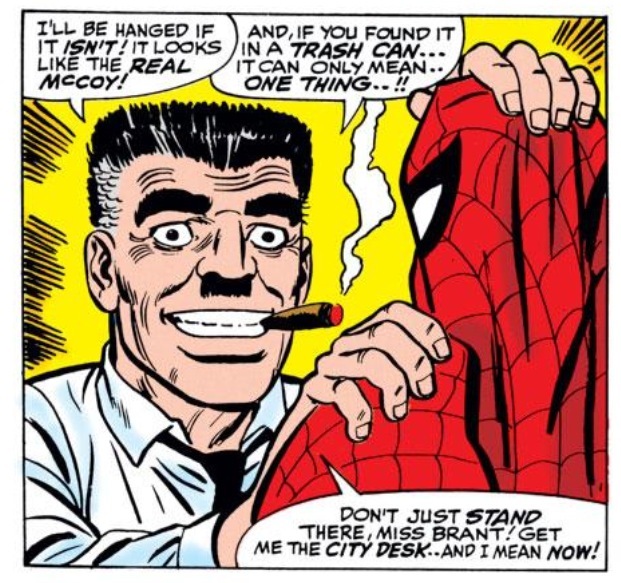 Fed up with his unsuccessful love-life and falling grades in college, Peter Parker decides to stop being Spider-Man, chucking his costume into a garbage can (which is later retrieved by Daily Bugle editor and Spidey nemesis J. Jonah Jameson). The Bugle runs a story that Spider-Man has either quit or is dead, spurring an uprising in the criminal underworld led by Kingpin, who see a city without Spidey as theirs for the taking. While he’s walking about, Peter sees a security guard in danger on the roof of a building. His gut instinct takes over and despite not being in costume, he jumps to the roof and apprehends the villains. 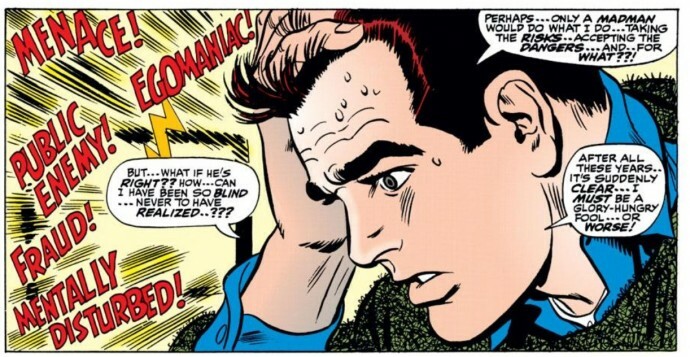 He’s initially disappointed in himself for still being a superhero despite his better judgment until he thinks hard and realizes that the security guard reminds him of his Uncle Ben, who was killed by a burglar in the Spider-Man origin tale in Amazing Fantasy #15. 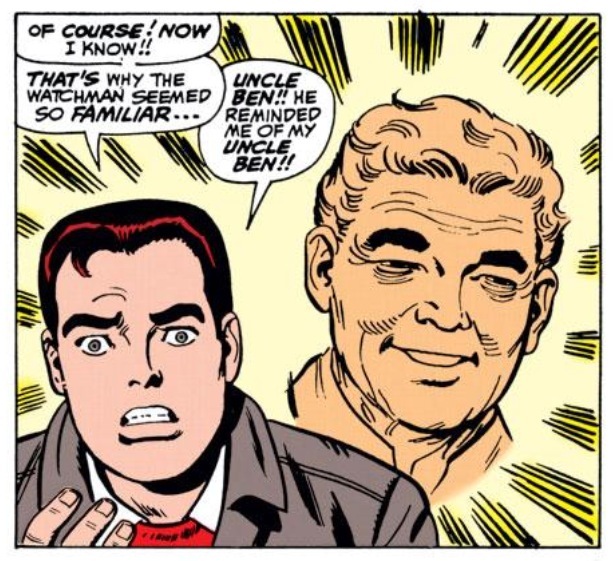 Peter feels great responsibility for his Uncle’s death because he had a chance to stop the burglar earlier in the issue, but purposely ignored his duties. When he later apprehends his Uncle’s killer and he realizes it’s the same petty thug he let run by him earlier in the day, he’s devastated. From that day on he vowed to always use his power for good, and saving that security guard gives Peter that clarity he needs to steal back his Spider-Man suit and swing through the city streets to take on Kingpin. Just an inspirational issue from Stan Lee and Romita, which really captures all of the wonderful complicated characteristics of Peter Parker and Spider-Man. I don’t remember if I described ASM #50 in quite so much detail to my wife that night, but I had, at the very least, made it clear that this was an issue I desired, lusted for even. Of course, in the moment, I didn’t realize that she was asking me about my favorite issues because she was plotting something. Some of you may know that your first wedding anniversary is considered the “paper” anniversary. My wife and I had already planned to really treat ourselves to a super expensive dinner at the famous Mario Batali restaurant Babbo. But we also wanted to get each other small tokens for the occasion so we decided to try and be creative about and be true to the “paper” theme. Whatever we got each other would be made of paper. I thought I was clever and got her tickets to see a Broadway play. Tickets are paper. But she did me one better. Given the drunken conversation we had a few weeks earlier, this probably shouldn’t have felt like a surprise, but I was totally blown away by her creativity to get me a comic book as a “paper” gift. Comic books are made of paper after all. It was perfect. And even more perfect, when I opened up that gift, I saw that glorious image of Peter Parker walking with his head down, the overwhelming spectre of Spider-Man hanging over him like a dark cloud. Holding that issue and feeling the paper pages in my hands was absolutely glorious, like a dream come true. But owning that issue has also come to represent just how amazing my marriage is. It was just a gift, I know, and it’s just a comic book, but my wife fully understood what getting ASM #50 ultimately meant – a signal had been sent that it was “okay” if I wanted to get back on that horse and start making serious strides towards finishing off my Amazing Spider-Man collection. Having her support has made this journey so much more exciting and joyful for me. She has gone on to either purchase for me, or help me buy numerous other issues for my collection – stories I will surely get to in due time – but ASM #50 was the big one. That was her blessing. 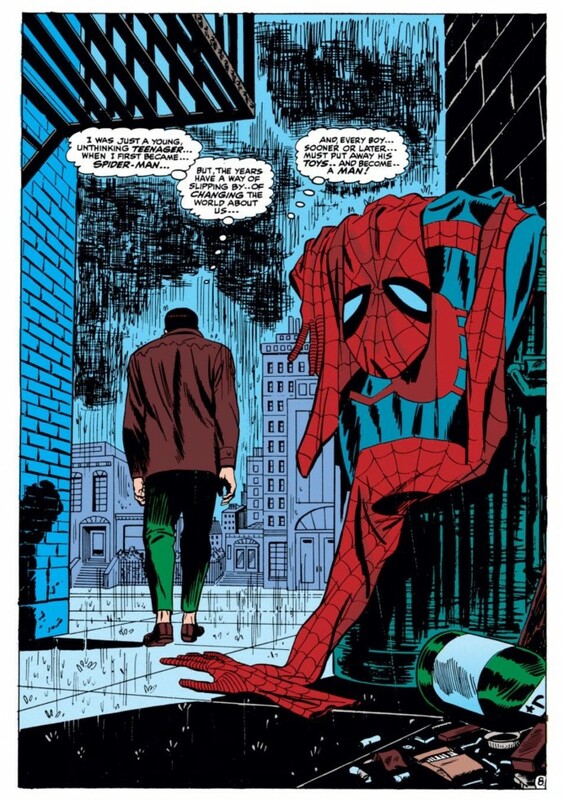 The part that I love the most about that issue is the flashback to Uncle Ben’s death after Peter saves the guard on the rooftop. This issue highlights the way that Peter is always torn between his duty to his living aunt and his dead uncle. 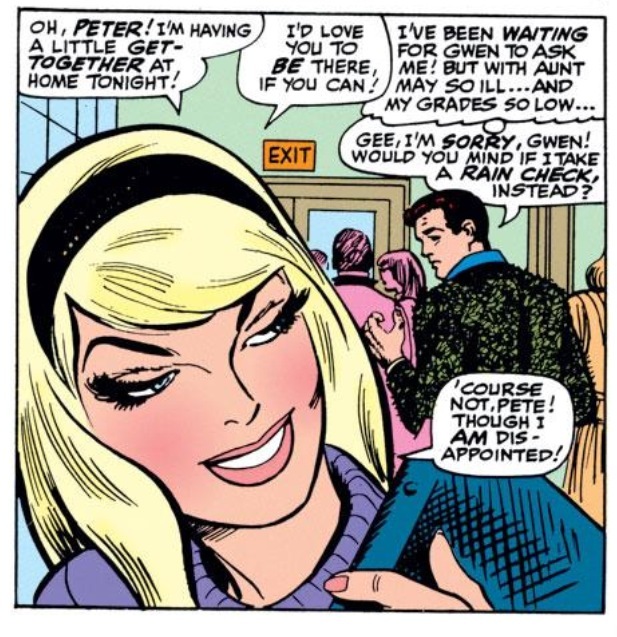 It’s that tension between the twin obligations that makes Spidey so memorable. Man, what a great story! Really, thanks for sharing that. I could really relate, as my wife has allowed me to indulge my love of comics for a very long time. When I was “Chasing Avengers”, she never said anything when it came time to purchase #4 and #1 — she just said if you get a good deal, go ahead and do it. And I did. I received my copy of number 50 for Valentine’s Day in 84 or 85. My then girl friend, who is now my wife of 26 years, gave it to me as a gift. A wonderful issue, but often the story of how we get these treasures, outshine them.